Summer isn't over yet...but it soon will be! Let's send it out in style, shall we? These Margarita Ice Pops would make a great addition to an end-of-summer party, served over a bucket of ice. Or, just enjoy one alone on the deck during a late-summer sunset. I shared a family-friendly recipe for Strawberry Peach Green Tea Ice Pops before. These Margarita Ice Pops are decidedly for the adults. With freshly squeezed lime juice, lime zest, tequila and orange liqueur, they're guaranteed to be a treat. 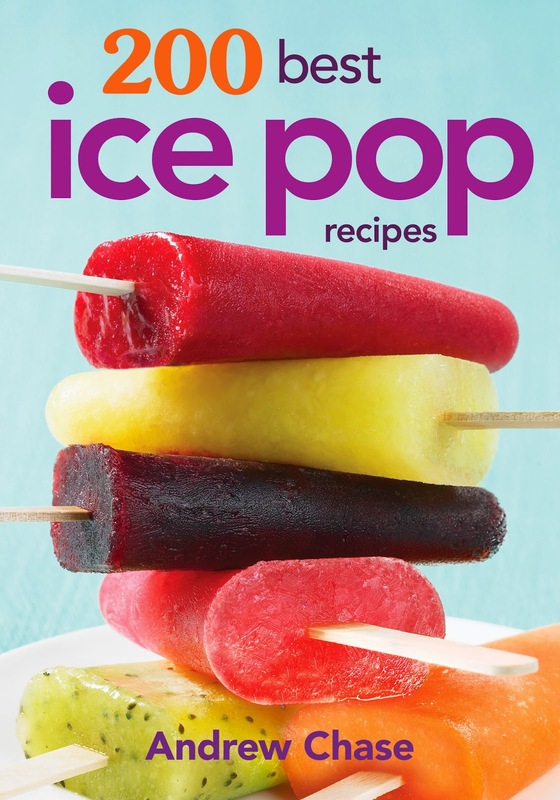 Margarita Ice Pops are just one of the fabulous ice pop recipes in 200 Best Ice Pop Recipes by Andrew Chase for Robert Rose. There are fruity pops, like the Clementine and Rose Ice Pops and Tart Cherry Ice Pops. 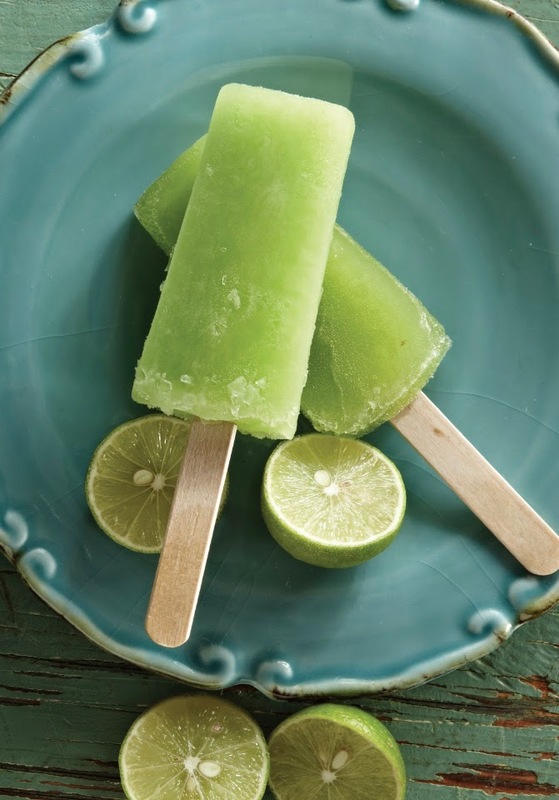 There are global-inspired ice pops, like Guava Lime Ice Pops and Cucumber Chile Ice Pops. Some of the recipes, like Thanksgiving Pumpkin Pie Ice Pops, call for dairy and/or eggs, however I think they would be simple to "veganize" with appropriate substitutions such as non-dairy milk and soy yogurt. I would love to make the Purple Sweet Potato and Coconut Ice Pops. The recipe calls for purple sweet potato and a pandan leaf. I have to give this author credit for ingenuity. There are some incredible flavour combinations in 200 Best Ice Pop Recipes. Apple Cider Ice Pops and Rhubarb Apple Ice Pops, for example, will transition us nicely into the fall. The book takes a favourite childhood treat and creatively updates it to suit the whole family. You can make these recipes using traditional ice pop molds or ice pop makers like the Zoku Quick Pop Maker. What's your favourite flavour of ice pops? In a small saucepan, combine water, sugar, lime zest and salt. Bring to a boil, reduce heat and simmer for 2 minutes. Pour into a measuring cup and set aside to cool. Discard lime zest. Stir in lime juice, tequila and liqueur. Pour into molds and freeze until slushy, then insert sticks and freeze until solid, for at least 4 hours or preferably overnight. If you are using an ice pop kit, follow the manufacturer’s instructions. Recipe courtesy of 200 Best Ice Pop Recipes by Andrew Chase © 2013 www.robertrose.ca Reprinted with publisher permission. Oh so many yums with this one! !